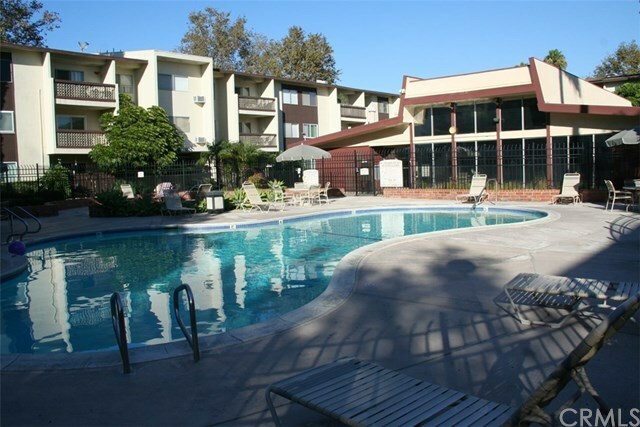 Very private 3rd floor condo Rossmoor Park/Seal Beach. Super clean 1 bdrm 1 bath 729 sqft. New carpet! Wall A/C Unit. Clean bright kitchen includes dishwasher, freestanding electric oven/range, built-in microwave & refrigerator. Gated parking from South parking entrance. Includes 1 carport #50. Single level with elevator to 3rd floor. Relaxing balcony. Steps to community laundry room. Association Pools, Jacuzzi, Clubhouse. Walk to shopping & public transportation next door. Highly regarded Los Alamitos School District. Move-In Ready! Directions: From Seal Beach Blvd take St Cloud (turns into Montecito) past Copa De Oro & Rossmoor Center Dr/Main Way. Main Lobby Entrance on the Right.